The American public doesn’t support Obamacare, and a new survey shows that doctors have an even worse opinion. No one has a better grasp on the state of the health care system than physicians, and according to the Doctors Company survey, 60 percent of them believe that Obamacare will have a negative impact on overall patient care. This survey is consistent with the findings of another doctor survey taken in October 2010, which also showed doctors’ lack of confidence in Obamacare. 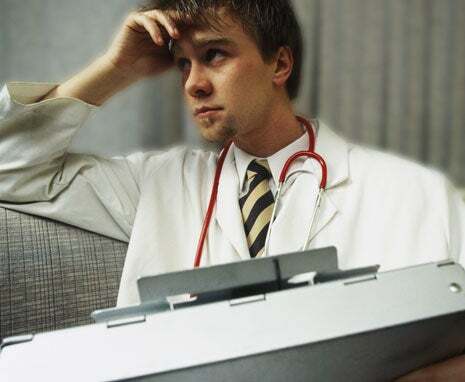 The survey was conducted to unveil physicians’ concerns about health care reform. The Doctors Company, which is the largest insurer of physician and surgeon medical liability in the nation, received more than 5,000 surveys, including all specialties and every region in the country. The results weren’t good for the President’s signature piece of legislation. Currently, the United States is on the brink of a severe physician shortage. According to the American Association of Medical Colleges, by 2020, the nation will need an additional 91,500 doctors to meet medical demand. Dr. Donald J. Palmisano, former president of the American Medical Association, warns, “Today, we are perilously close to a true crisis as newly insured Americans enter the health care system and our population continues to age.” If current physicians leave the practice early because of the health law, the problem will be exacerbated even further. Under Obamacare, Heritage expert Robert Moffit writes, “physicians will be subject to more government regulation and oversight, and will be increasingly dependent on unreliable government reimbursement for medical services. Doctors, already under tremendous pressure, will only see their jobs become more difficult.” To reverse this trend, the U.S. needs health care reform that doctors and patients alike can eagerly support.